In today’s marketing landscape video is becoming increasingly prevalent for a very simple reason—people like to watch videos. You may have heard of a little corner of the internet called YouTube. Video is easy to digest, and it provides a soothing break from the heaps of text-centric content consumers constantly sift through each day. And, they can be easier to make than you think – with the help of some free and cheap apps for creating videos. 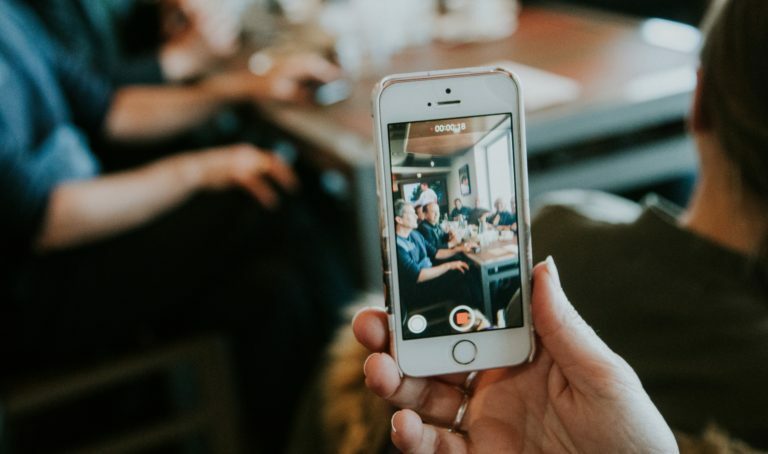 Cisco predicts that video content will account for 69 percent of all consumer internet activity by the end of 2019. 83% of businesses say that video provides worthwhile return on investment. You’re 53 times more likely to show up first on Google if you have a video embedded on your website. 90% of consumers watch video on their mobile device. YouTube reports a 100% increase in mobile video consumption each year. Bottom line: To compete in today’s market, you must incorporate video into your approach. Develop a strategy for implementing video, make a few with available apps for creating videos, and use them to promote your brand. Video can be used to provide how-to clips, demos, and to bring customer testimonials to life. This little dandy allows you to create captivating mini videos that loop. Simply find something that moves or use selfie mode and capture yourself on camera. The app uses just one button. Tap it once and let Boomerang work its magic. You can then share the video instantly on Facebook and Instagram or save it to your phone. Here, we have an app that combines images to create short video stories. It’s simple to use, and again, it allows you to instantly post your finished video product directly to Facebook and Instagram. It also offers fun filters and effects that can showcase your brand’s style and creativity. DSCO (pronounced like the music from the 70s), lets you get your GIF game on. GIFs are a fun and popular format that, thanks to DSCO, are now easy for anyone to make. You can choose from a selection of presets, and you can capture, edit and share your GIFs instantly to Facebook and Instagram. You can find DSCO in the main VSCO app. For the Apple users in the room, this is one of the easiest and most intuitive video editing tools you’ll find on the market. We recommend using it on your iPhone for its simplicity. Just choose your clips, then add text and music if you desire. It even has special visual effects to liven photos that you can include in the finished product. With a variety and filters and speed-altering ability to make action shots even more exciting, you’ll feel like an old video pro. Perhaps the best app available for those who want to make video slideshows and video collages. The app also includes features that allow you to add transitions, voice over video, and animated text that will spice up your medley. You have the ability to use the app as a meme maker and GIF slideshow. It also supports the 9:16 frame ratio, which is ideal for Instagram Stories and Snapchat. This serves as an all-in-one visual content editing app. You can create videos, edit photos and make image collages. You can also trim clips, flip and rotate images, add music and much more. Video marketing is no longer a luxury — it’s a necessity. And with these free and cheap apps for creating videos, it’s easier than you ever thought. For a complete video marketing strategy for your business, contact the specialists at Caledon Virtual today.